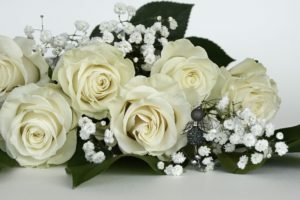 Florist, Debbie Martin has flower arrangements for every occasion including weddings, holidays and funerals. Flowers from the Farm is located in Fort Collins, CO and serves all of northern Colorado and the front range. Debbie is an amazing artist inspired by God. She has been our "go to" for flowers for years. We have never been disappointed and she goes over and above to please. Debbie creates unique one of a kind pieces to dreams come true weddings. Prices have always been reasonable. Love her!